Robert Kirkman, creator of “The Walking Dead,” will soon see one of his other comic projects as a live-action series via Cinemax. 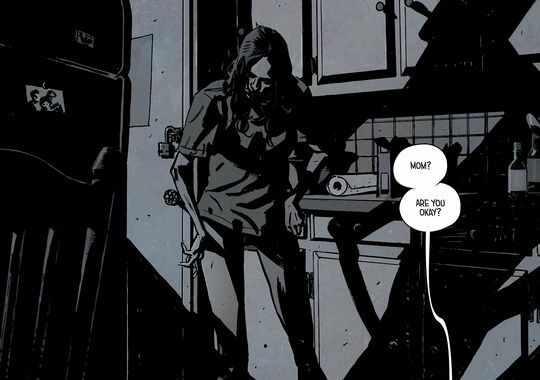 “Outcast” was originally written by Kirkman and illustrated by Paul Azaceta starting back in June 2014. It’s an fantastic supernatural thriller centered around demonic possession. Since he was young, protagonist Kyle Barnes has seen the people he loved suddenly — and very violently — turn on him. Possession becomes a more and more likely answer. Though Barnes isn’t much of a believer, he’s willing to look for answers anywhere he can find them. Even if those answers unveil a much bigger problem than he could have ever anticipated. According to Comics Alliance, the live-action version’s cast will star Patrick Fugit (from “Gone Girl”) as Barnes and Philip Glenister (from “Kingdom of Heaven”) as the Rev. Anderson. So far, it’s been set for a 10-episode first season and may continue from there.